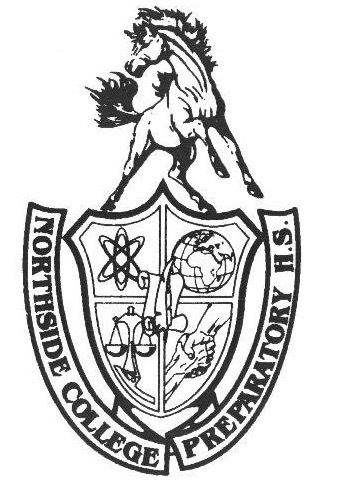 Northside’s Men's Swimming and Diving 2018 began its season on Nov. 19. In the last few years, the swimming team has been extremely successful, notably winning the city championship during the 2015-16 and 2016-17 seasons. With the departure of last year’s seniors Ethan Lim, Tyler Shimada, and Gabe Piechnik, the team will begin the season seeking to live up to these talented graduates. However, despite losing these pivotal team members, Co-captain Lukas Hoffman, Adv. 906, remains optimistic about the team’s future. He emphasized that the promising relay potential and strong team chemistry as contributing factors to his positive attitude going into this season. That same optimism is shared by veteran Taber Skiba, Adv. 902. When asked what he looked forward to the most in the season, Skiba said, "There is certainly a lot of space in the pool this year, and that ultimately means more room for hard work." Skiba went on to encourage newcomers to participate in swimming, saying, “there are no cuts, and you will improve your swimming.” Members are currently taking part in conditioning and strength training after school, ensuring optimal physical condition to tackle the season. With the onset of the season came a new leadership distribution, giving captain status to Hoffman and Ian Shimandle, Adv. 901. Concerning this splitting of the leadership position over the team, Shimandle said, “I think that having two captains is pretty nice. It is easier because you can split work up, and it's also easier to have two captains, rather than last years three, because the communication only has to go between two people.” Shimandle, in accordance with Hoffman and Skiba, is excited for the start of the season and believes the young team holds a lot of promise. ”I am most looking forward to seeing who the prospects of the team are in future seasons, as the freshman show what they can do” said Skiba. Diving has unfortunately met a similar fate as swimming, now that last year’s seniors Adam Toepfer and Sebastian Vondrak have graduated. The team’s roster was small and comprised of the two aforementioned divers. Although their departure has been met with great sadness, it allows Coach Ceja, the instructor of the swimming and diving team, ample flexibility in the creation of a new roster. Diving is unique in the aspect of its exclusively morning practices, each beginning at 5:30 a.m. Hoffman said, “If you want to have a part-time job or want to spend time with your friends after school, maybe diving is for you." Shimandle added to this and said ” Coach Ceja promises that he will buy a pizza for anyone on the team who gets someone to join diving, so find someone on the team, join diving, and then make them split the pizza with you.” Another benefit is access to the hot tub, which only divers are allowed to use. There are a lot of benefits that come with joining swimming. This season is shaping up to be just as successful as prior years with newcomers and veterans alike seeking to improve their skills. Students interested in joining either team must fill out an IHSA form. In addition, because diving is connected with swimming, those interested in diving must inquire with Coach Ceja first. Swimming is a no-cut sport, although it is necessary to try out if you wish to join the varsity team. Practices began the week after the Thanksgiving break, giving prospective swimmers additional time to practice their skills for this upcoming season.